სიმძლავრის დიაპაზონი 12.5kW to 28kW. 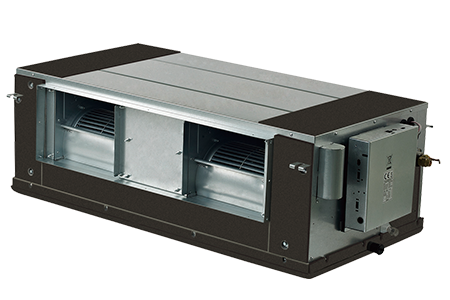 100% fresh air intake is possible, 220 Pa external static pressure allows extensive ductwork runs and flexible application: ideal for use in large areas. 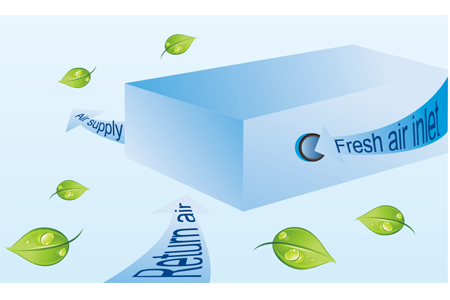 Fresh air is imported, providing a healthy and comfortable living environment. 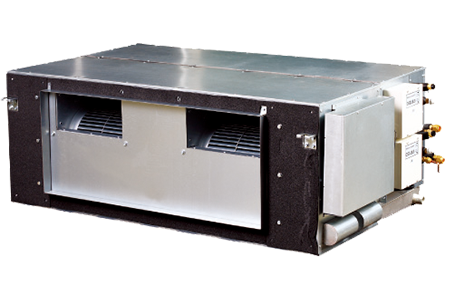 External static pressure can be up to 196Pa(models 125 to 140) and 280Pa(models 200 to 280) for more flexible duct applications. 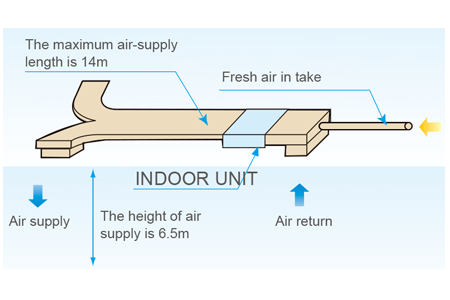 The maximum length of air supply is around 14m and the maximum height of air supply is about 6.5m.